Money is a topic that everybody is very much concerned about. People want to be sure that whatever they use on their credit card is exactly whatever was recorded on their credit card is right and that there are no hidden charges or inaccurate transactions on their record. To make it easy for people to access their credit report easily, the FACT Act, which also means the Fair and Accurate Credit Transactions Act was enacted. With this act, it is possible for an individual to get a Factact Free Disclosure inquiry showing the details of their account once every year, for free. The Act was signed into law in 2004 by President George Bush. Checking your credit report is a good way of ensuring that every transaction that has been recorded on your credit card was authorized by you. If you have a feeling that some unauthorized transactions do show up on your credit card or you want to be sure that does not happen, that the best way you can be sure is by checking your credit report. Where there are unauthorized transactions, you will be able to make a complaint and try to trace what the transaction is about. read more about credit card reviews. 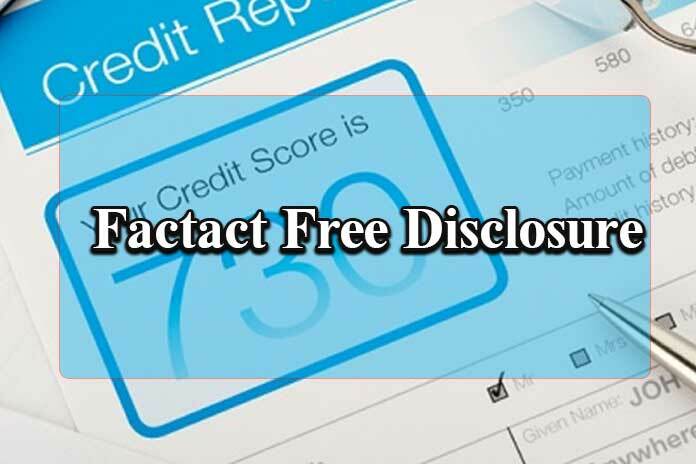 Before the Factact Free Disclosure, it was possible to request for your credit report from credit bureaus. However, you were expected to pay for it. It, therefore, means every time you want to know the details about what goes on with your account, you will have to first lose some money. At the end, the money might all seem to be a waste, if you did not find anything, aside from the fact that you are rest assured everything is going on properly. You might, however, be discouraged from getting such a report a next time, when it might be necessary. After the act was passed, it became possible to get a Factact free disclosure inquiry from the 3 main bureaus for credit, once every year. The 3 bureaus for credit include TransUnion, Equifax, and Experian. With the law, at least once every year, you get the opportunity to go through all your transactions for the previous year, to be sure all the records were authorized by you, completely free. All 3 bureaus will record your inquiry in the soft inquiries section under names similar to Fact Act Disclosure. The law was a breakthrough for credit card holders, as it now helped them check their reports without having to be charged for it. This is considering there was no justification on charging credit owners to check through the credit reports, to be sure of its accuracy. Also, the Factact Free Disclosure inquiry did not negatively affect the credit of an individual. The Act further covers rules on how credit card users who have found mistakes on their credit report can file for a dispute and ensure that the mistakes are removed from the report or corrected.